Eviva España! That’s the cheer to which the world is celebrating today after the final game of the Euro 2012 in which Spain destroyed Italy 4:0 – the biggest margin ever in the history of European Championship finals. The international feast of football that started in Warsaw on June 8 ends today in Kyiv with a great game and I only wish I could have been there! I’ve traveled to Kyiv twice before – once in March, once October – and unfortunately both times I didn’t see much sun, which is a clear indication I should go back the third time, but maybe around this time of year =) Still, regardless of the weather, there are places in Kyiv I always want to go back to. And now, thanks to the Euro games, hopefully many of the fans who visited Ukraine will also want to come back. 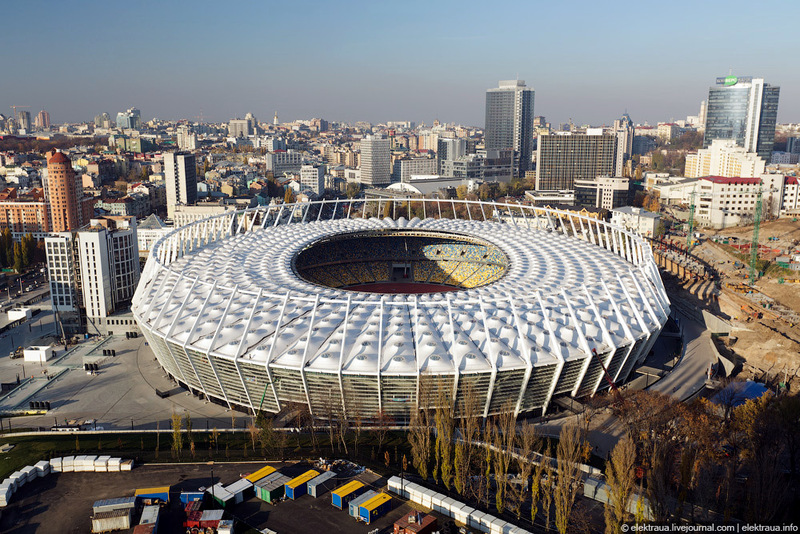 In that spirit, let’s take a look at Kyiv, host city of the final game of Euro 2012 between Spain and Italy. 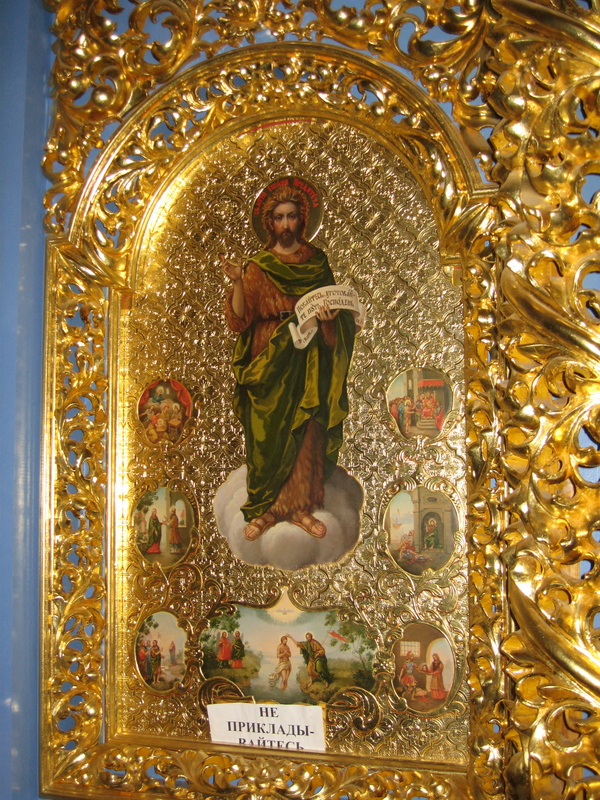 One of my favorite places in Kyiv is amazing Pechersk Lavra, an Orthodox Christian monastery dating back to the 11th century. 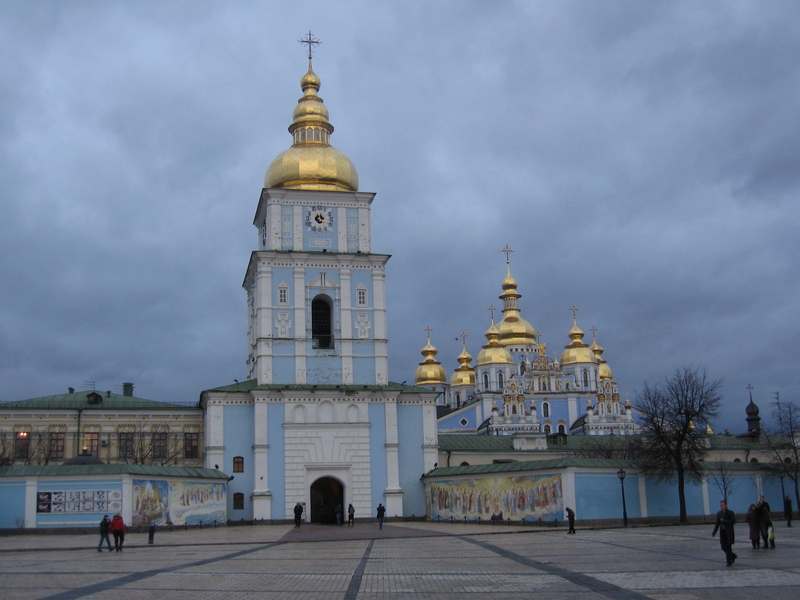 It was built following the baptism of St. Volodymir, Grand Prince of Kyiv, in 988 and became one of the key centers of Eastern Christianity for the centuries to come, its vast caverns (or pechery in Ukrainian, hence the name) servings a burial site for over a hundred princes and saints. 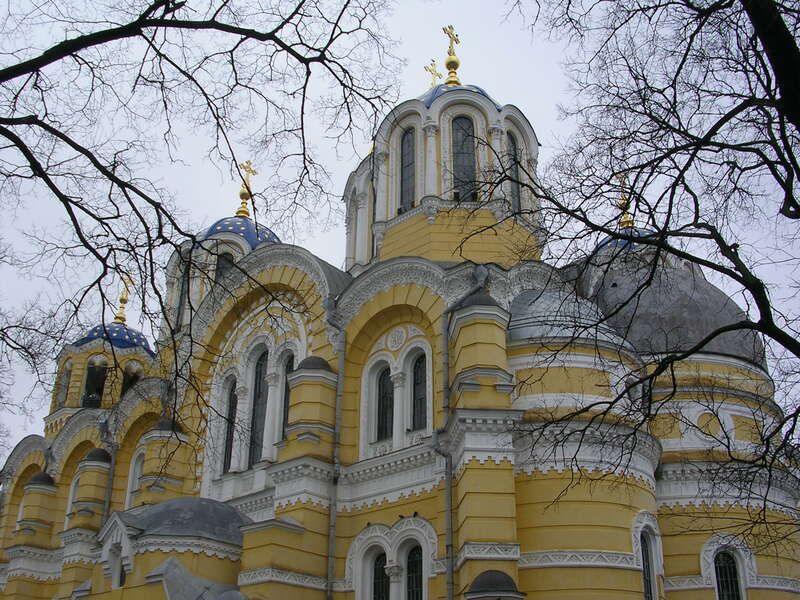 Together with St. Sophia Cathedral, it’s on the UNESCO World Heritage List. Clearly since independence from the Soviet Union in 1991 lots of investments have been made into renovating those architectural gems. 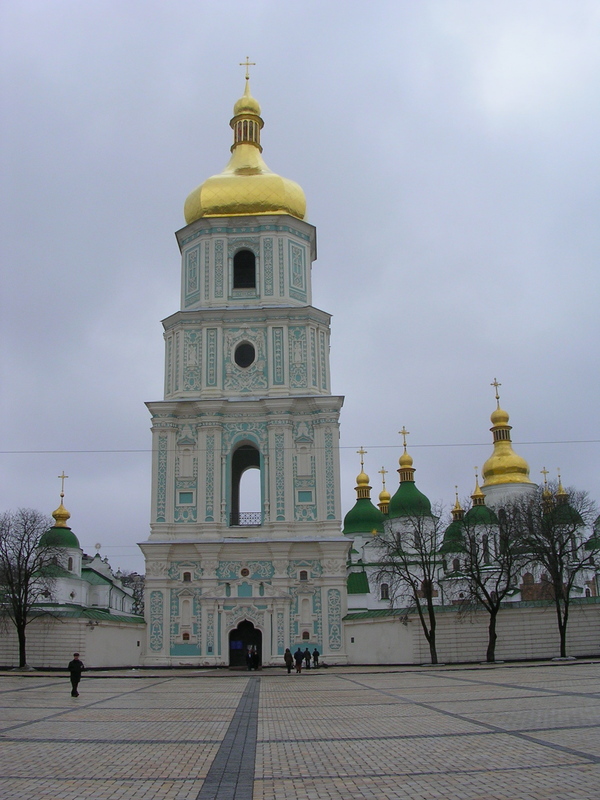 Kyiv’s church cupolas gleam with gold, their walls impeccably white, blue, and green. 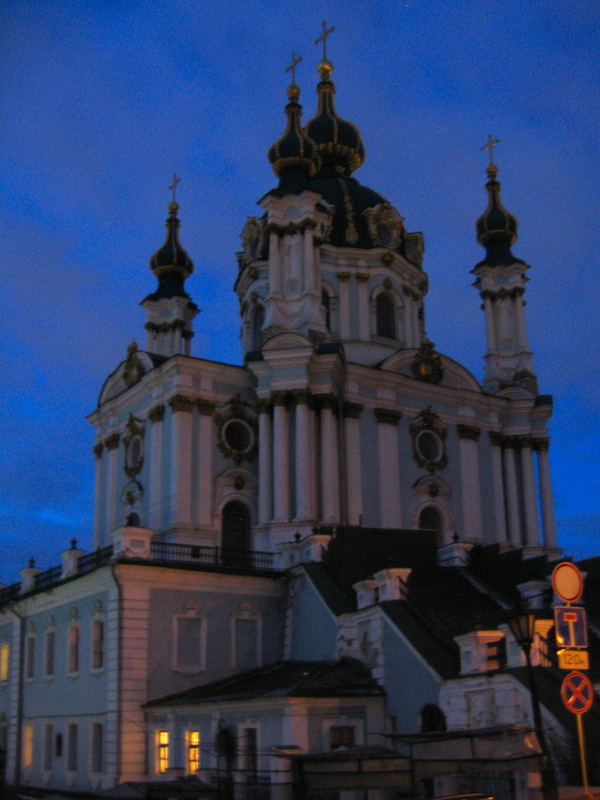 My other favorite church in the city is St. Andrew’s, a beautiful baroque structure sitting on top of a steep hill. 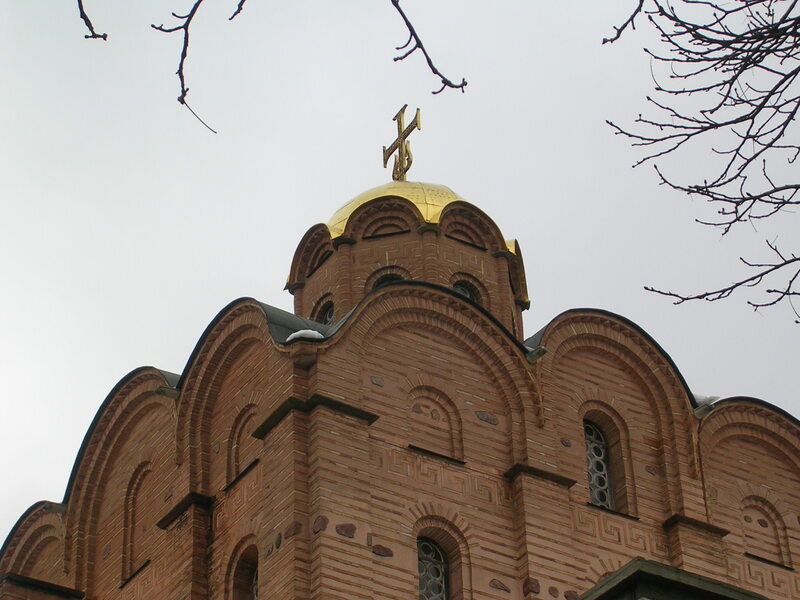 From the church, you can walk down a winding path of Andriyivskyi uzviz, or Andrew’s descent, connecting Kyiv’s Upper Town to the neighborhood of Podil below. The cobblestone descent is surrounded by shops, galleries, and merchant stalls. 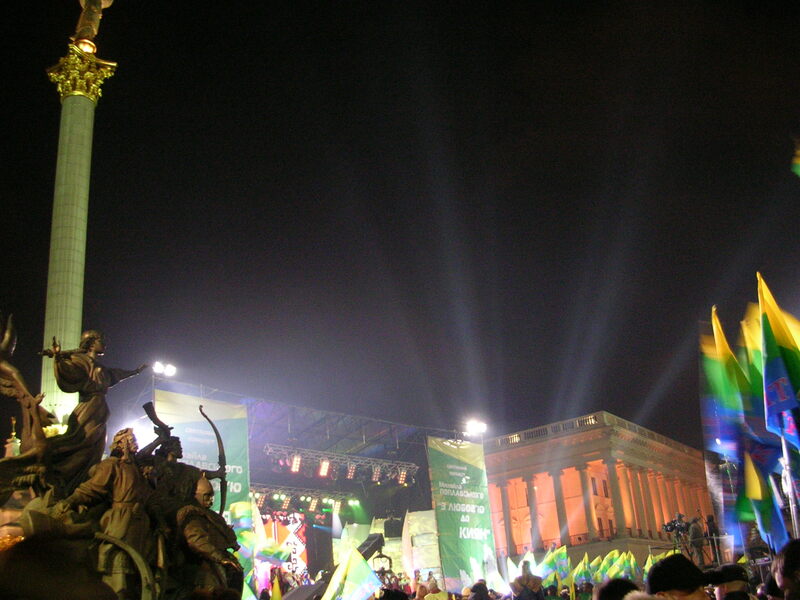 Finally, no visit to Kyiv is complete without hanging out on the city’s main square, Maidan Nezalezhnosti. When I was there back in 2006, there was a big festival going on and post-Orange Revolution enthusiasm was clearly in the air. Although the optimism of that time faded in recent years, the Euro games clearly boosted Ukraine’s spirit. And deservedly so – Ukraine was a great host! I would have loved to be out in Kyiv for the Euro’s, I was out in Kyiv with my family when I was only a young child so don’t remember much – but I can say I have been there. I’ll be going back though sometime soon as I am doing a european tour of football stadiums next summer!